One of the stranger PR exercises in 1975 was Alfa Romeo Australia’s entry of a ‘motor-show car’ in the Australian Sports Car Championship. 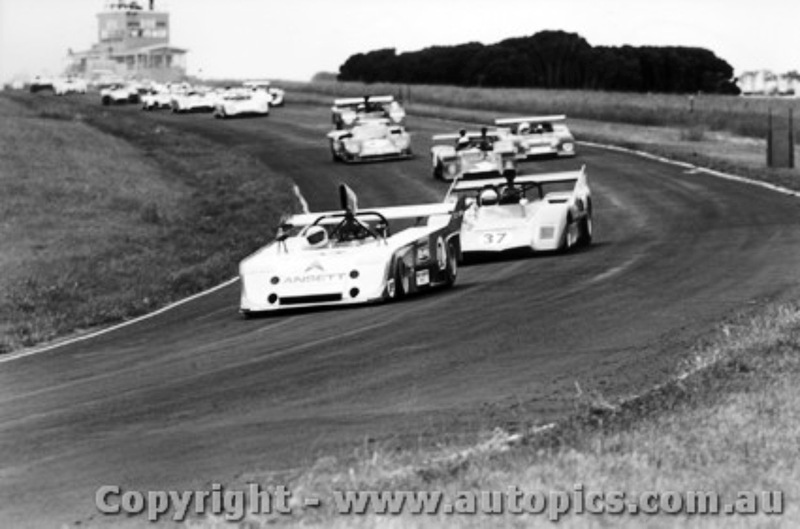 The one race event was run at Phillip Island in November ’75. 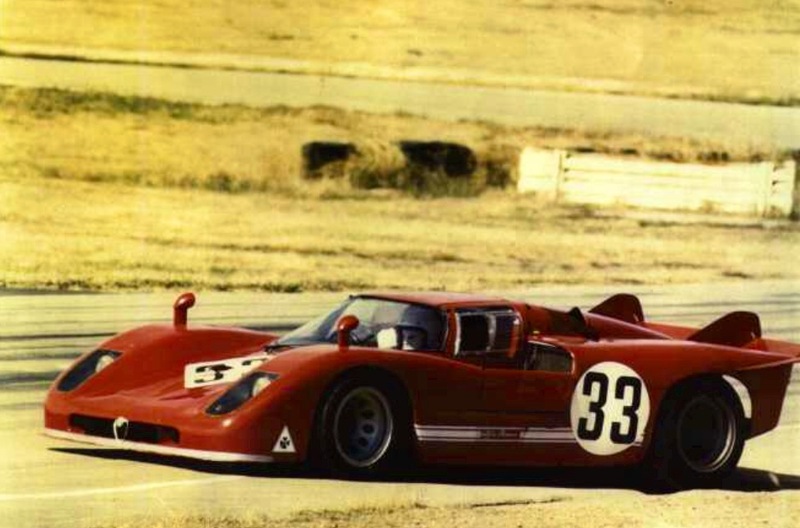 The ‘Endeavour Cup’ ,run over 30 laps or 143 km and attracted a strong field of 40 ‘Group A’ or Can Am type open sports cars, Production Sports , and Clubman cars .Elfins Garrie Cooper built a new car , the MS7 Repco, powered by one of his F5000 Repco Holden engines, using all the experience gained in running these 5 litre cars since ’71, the Elfin would be Alfa’s major competitor. 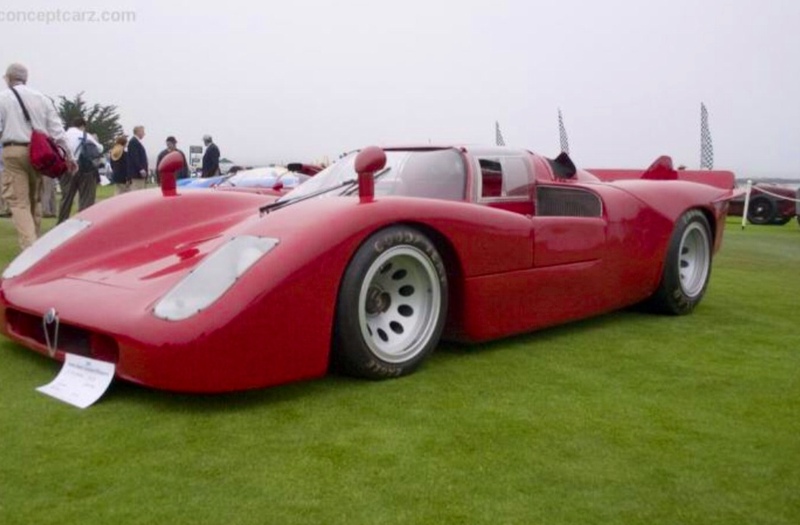 The superb looking Alfa Tipo 33/3 had been on the show circuit for some years including appearances at the Melbourne Motor Show early in the year. 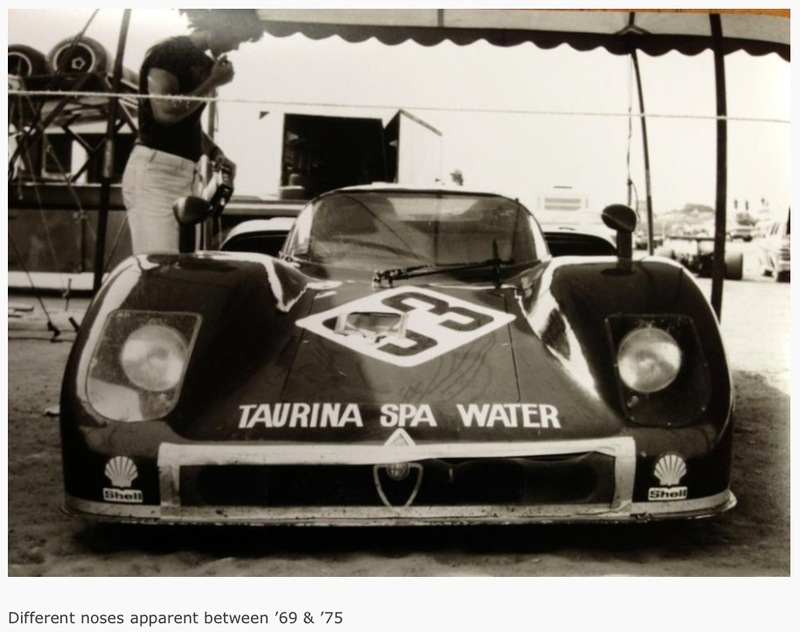 Alfa’s Tipo 33 in various forms was Alfa Romeos entry in the World Sports Car Championship or Championship of Makes for over 10 years Alfa winning the Championship in 1975 & 1977. 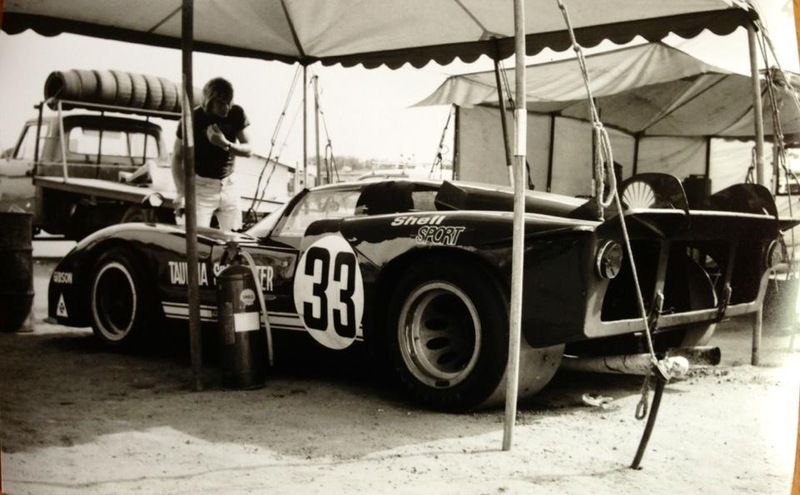 Originally built in 1969, and believed to be chassis # ‘75080-005’ ,the car was raced at Enna & Hockenheim that year…the rest is a bit uncertain, but at some point a 4 litre DOHC 4 valve V8 engine replaced the 3 litre originally fitted to the car .The 4 litre engine was developed for the Can Am series, a car ‘75080-023’ raced without success in 1970/1. 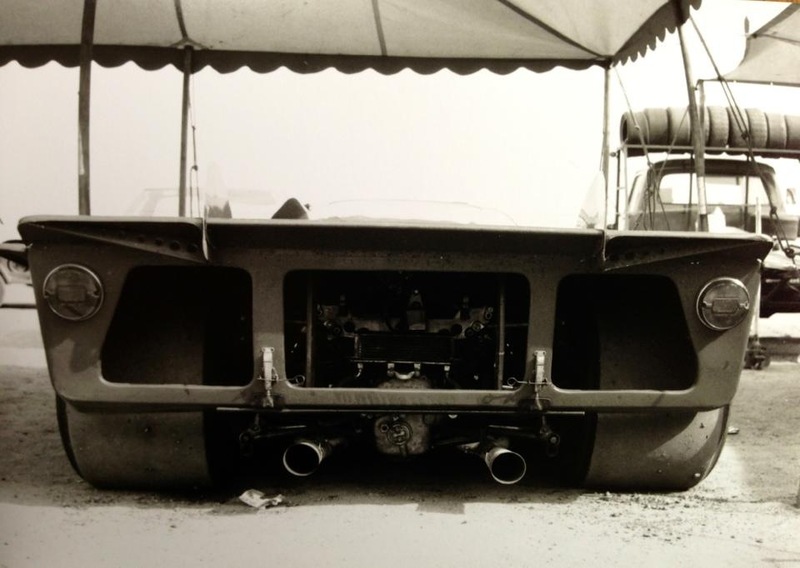 Similarly the curvaceous original nose was replaced by one to later ’71 spec , the car a contrast visually with Coopers Elfin styled aerodynamically along the lines of the Can Am Posche 917/30. 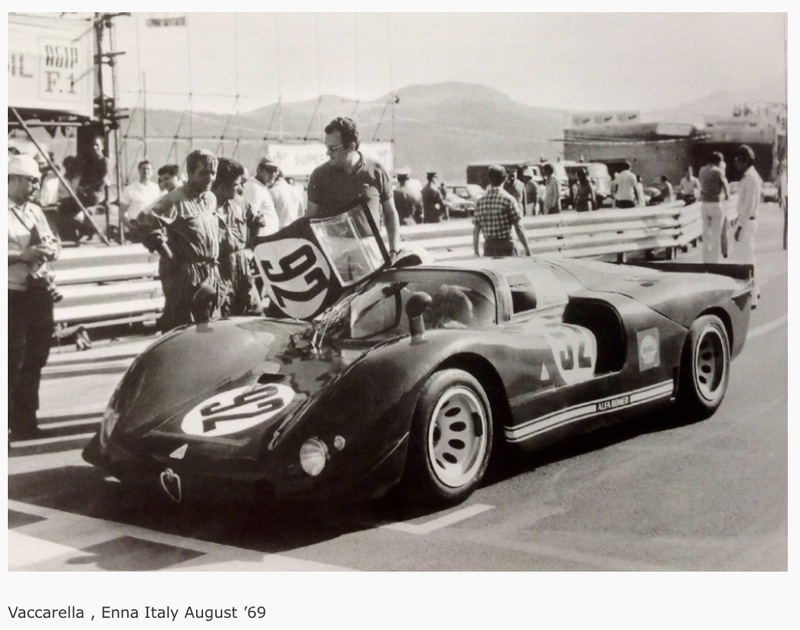 The Alfa created a lot of interest but it wasn’t race prepared , was fitted with a very tall set of unsuitable gear ratios and smoked its way around the ‘Island for 3 days , Fred Gibson doing a great job of bringing the gorgeous , misfiring car home in 3rd place. 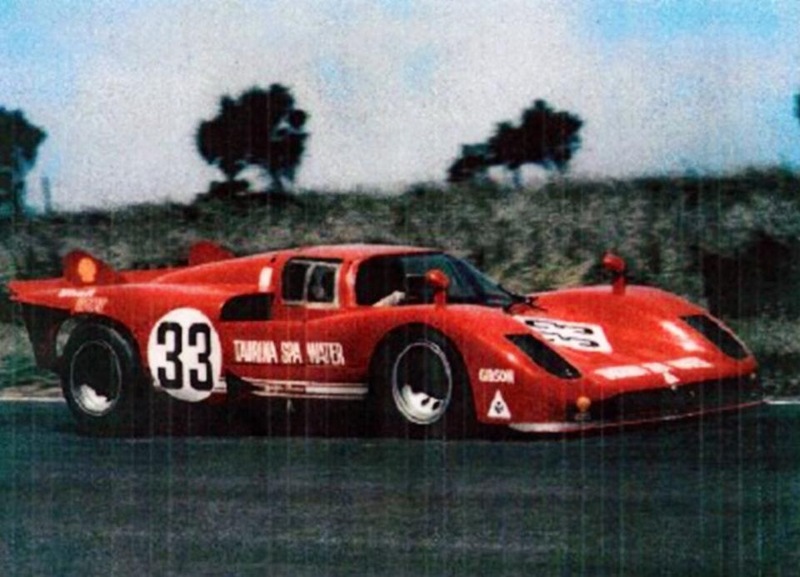 Fred was in Alfas touring car squad at the time running 2000 GTV ‘s , but his pedigree included both potent Brabham BT16 Tasman single seater and a 5 litre Elfin 400/R&T Chev sports car. His considerable engineering prowess and mechanical sympathy brought the car home and gave we spectators the chance to see the fabulous car race in Australia for its one & only appearance .A lesser driver would not have been able to stroke the thing home. Garrie Cooper ran away with the event, his sprint car far quicker, than the heavy endurance racer, ‘un-prepared’ as it was. 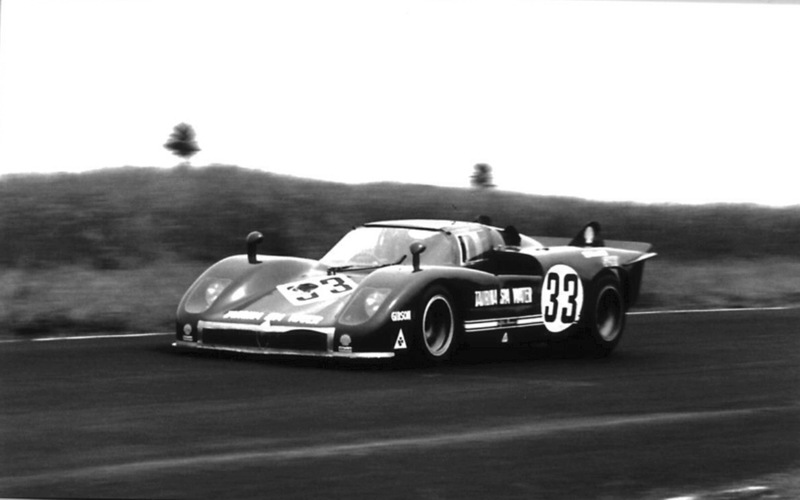 Fred finished 3rd with Henry Michell 2nd in the Elfin 360 Repco in which he had won the ASSC the year before. 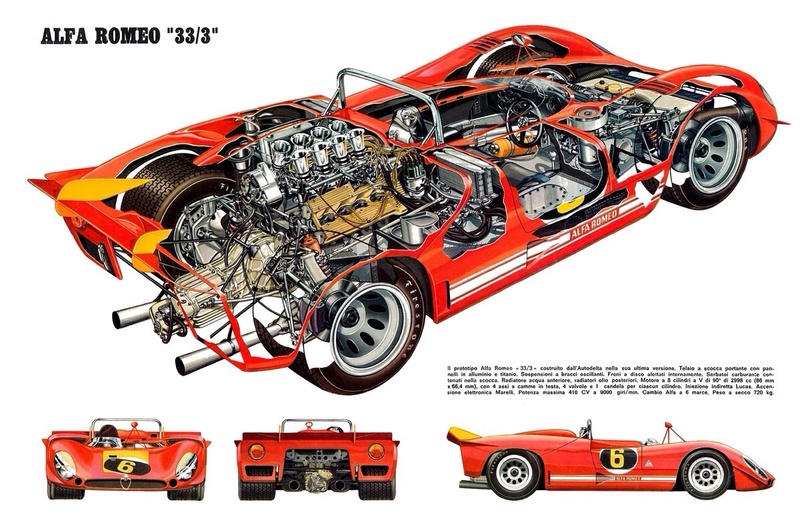 The shrill note of the 2.5 Litre Repco ‘Tasman’ V8’s , and muscular note of the Alfa, also running a single plane crankshaft , in marker contrast to the ‘basso-profundo’ bellow of the Chev & Repco Holden V8’s…that long straight and open nature of Phillip Island was an aural as well as a visual feast in those unmuffled days! The ordinary black & white shots were the best I could manage with my little ‘Olympus Trip 35’ but show the cars lines well. Call it Alfas 917 or 512S in looks without quite the success rate! The 33/3 was sold to Melbourne Alfista Ern Stock for a nominal sum and the cost of outstanding Customs duties …it was just an old racing car after all! Stock was more of an ‘old car guy’ than a racer, the car appearing at an AROCA club day at Winton driven by Col Goldie once , and doing a few laps of a Canberra Motel Carpark at an Alfesta in the early ’80’s , poor old ‘pollies’ had not had such excitement since the Petrov Affair ! Eventually the car was Hoovered up by an American dealer as cars of its ilk became ‘Automotive Monets’. Only Alfa would have done the nutty thing they did, but god bless ’em for doing so , the car was worth travelling a long way to see, and hear! And it only ran in Australia, just once!